Is your Lapis Lazuli card stock suitable for professional laser printing at print shops like staples, etc? And will printing black text and image on this stock be visible? This paper matches the colors of our wedding great but I want to make sure it would be readable. 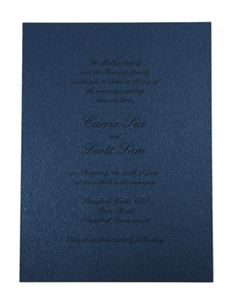 Have You Fallen for One of Our Dark Metallic Card Stocks? Do you find yourself wondering how you may print on it and keep your text readable? All of our Metallic Blank Cards from Aspire Petallics and Stardream are laser printable, however on some paper stocks, the dark colored ink printed on the dark card doesn’t provide enough contrast to make it readily visible. Have You Thought of screen printing or other conventional printing methods?. Screen Printing allows light colored opaque ink to achieve a desirable level of contrast in order to make your text visible. 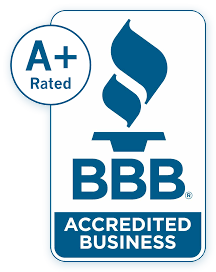 For added elegance, consider having your local professional printer foil stamp or emboss your text. By layering your invitations, you still get to use your favorite dark metallic card stock as a backing card, while allowing you to introduce a new accent color into your event’s theme. Honestly, the easiest way to center your top sheet on the backing card is to just eyeball it. If you would prefer precision, I would first suggest determining an exact border width you would like surrounding your top sheet. Next, measuring in from the edge with a ruler, I would make a faint pencil mark where you would like the corners of your top sheet to be positioned, for added precision consider using a triangle to square up your measurements. Once you have your corners marked off, put your adhesive on the back of your top sheet and apply to the backing card. Please let us know if you have any other questions or comments! I just received my black envelopes. They are beautiful;however, I cannot print them on my home computer. The color does not show. What are my options? Black envelopes are a tough color to print directly onto. You have a few different options. 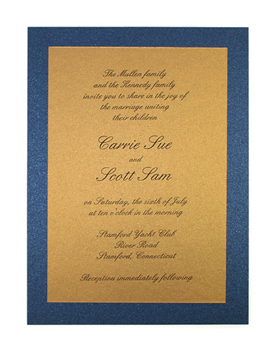 You can have the envelopes professionally printed using a metallic color such as Silver or Gold. Another option would be to use a gel pen and hand write each envelope.